A perfect pair for my FAT cat barrette, here's another to get your color urges going. This Bull Dog pattern has the outline & colored patterns that I started with and a large photo of what I ended up with. 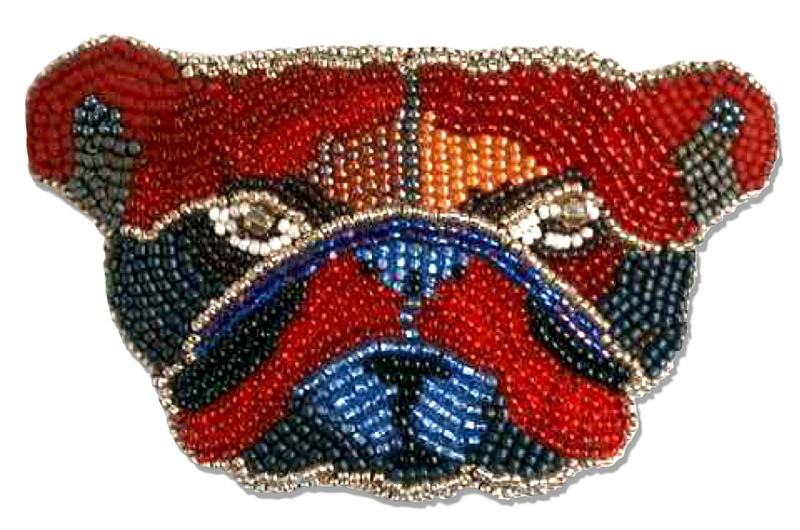 Use of 14/0 beads will give you more detail. Seed bead embroidery instructions are not included, refer to "The basics of Seed Bead Embroidery" for general instructions on this technique.